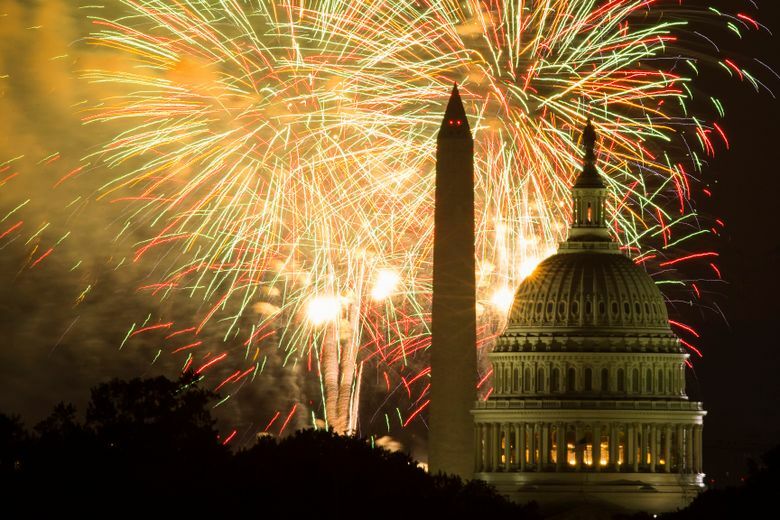 NEW YORK (AP) — The Fourth of July is usually a time for national unity, when Americans of all political stripes often turn their gaze to Washington as part of a patriotic lovefest. But there promises to be some division this year when it comes to what to watch. PBS’ tradition of broadcasting music and fireworks from the West Lawn of the U.S. Capitol is facing competition Wednesday from a different live concert in the same city at the same time hosted on the South Lawn of the White House. Each event will also feature competing “American Idol” alums. PBS’ “A Capitol Fourth” has the bigger stars: The Beach Boys, Jimmy Buffett, Pentatonix, Chita Rivera, Luke Combs, The Temptations, Renee Fleming, CeCe Winans, Joshua Bell and “American Idol” singer Lauren Alaina. It will be hosted by John Stamos. The entertainers appearing at the 90-minute White House event on the Hallmark Channel include singer-songwriter Sara Evans, pianist Lola Astanova and former “American Idol” finalists Jonny Brenns and Jax. Both shows will feature the night’s big draw — the fireworks show from the National Park Service, which has blessed both rival city concerts. The White House announced the Independence Day counterprograming late last month, with Melania Trump saying in a statement: “Americans will be able to tune in from their homes and be part of the festivities.” The first lady and Donald Trump are also hosting a picnic for military families. Hallmark and the National Park Foundation first established a partnership in 2016 when the broadcast channel aired the National Christmas Tree Lighting from the White House lawn. The foundation hopes to use Hallmark to help raise awareness of America’s 417 national parks. A representative for PBS declined to comment on its new rival to the country’s longest-running live national July 4th TV tradition. Evans also declined comment, citing travel and rehearsal demands. Astanova said the event isn’t political or “about any specific administration or president. This is about our nation’s birthday.” She said she got the invitation from Hallmark and juggled her schedule to attend. “If there’s one day when we should put our political differences aside and things that divide us and focus on what unites us and really celebrate what we love about this great country, I think this is the day,” she said. Both Washington shows will compete with the annual Macy’s 4th of July concert and fireworks display in New York City. That will be on NBC and will feature Kelly Clarkson, Ricky Martin, Blake Shelton, Keith Urban, American Authors and Brandon Victor Dixon. Matt Iseman and Akbar Gbajabiamila from “American Ninja Warriors” will host.